The 8th release in our Love Child series of blended sour ales is composed of a Flanders-style red base and Belgian-style golden ale. The very first release of a Love Child blend was 100% soured Bourbon Barrel Quad, but each subsequent batch has included an increasing amount of Flanders-style red. For that reason, the strength has been steadily declining from the 12.5 ABV of Love Child No. 1 to more recent releases in the 8-9.5% range. Following primary fermentation in stainless steel tanks with our house Belgian yeast strain, the component batches of beer were aged in a variety of whiskey and wine barrels with lactobacillus and brettanomyces. Following aging, samples were pulled from like lots and blended during a tasting session attended by brewers and members of our quality assurance team. 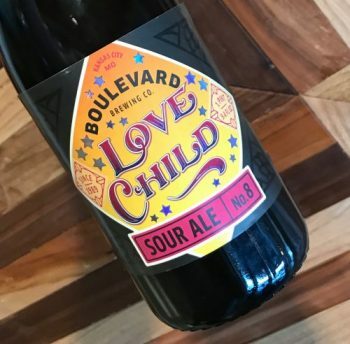 With each release of a Love Child blend, it’s not our intention to reproduce the character of the previous year’s blend, but rather to offer a blend of the very best sour beers we have on hand. Love Child No. 8 debuts in the Greater Kansas City Area on June 5th (draft) and June 6th (750 mL bottles) with other regions to follow soon.